This warrior costume includes a beautiful dress black and silver, black and silver wristbands and a black belt, a very similar outfit to that worn by Katniss Everdeen, the bravest archer in District 12, star of the Hunger Games. Upload your photos to Instagram with the hashtag #funidelia followed by #funidelia12585. 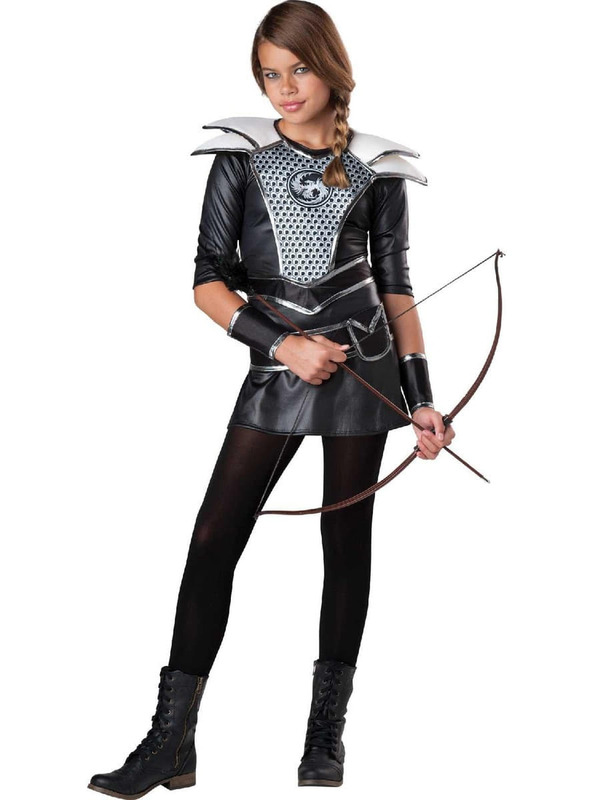 Product Rating: "Katniss huntress costume for a teenager"